Southeast Asia is one of the most exotic and mysterious places one will ever visit. The architecture, landscape and cultures reveal ancient civilizations that visitors could hardly imagine in their wildest dreams. Most itineraries pass through at least two or three of these countries, which share long and curvy borders. We like to combine big countries, such as Vietnam and Thailand, with small countries, such as Laos and Cambodia. A “long-lost Asia” still exists here in the country’s lush forests, vibrant markets, and iconic rice fields. An interesting mix of colonial, Buddhist architecture and Lao wooden homes are tucked side by side on quaint cobblestone streets. 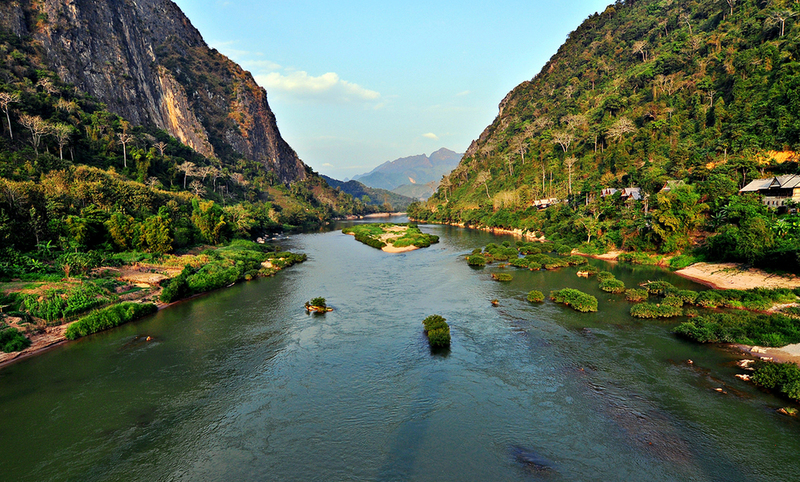 The lovely Mekong River meanders through large canyons and into the rainforest. Watch the silent procession of young monks accepting alms at dawn. Visit the Wat Si Saket Temple in the capitol city of Vientiane and climb the long staircase up to the Phoussy Temple in the former imperial capitol of Luang Prabang. Once in Luang Prabang, board a riverboat and drink in stunning mountain vistas and the mystical caves of Pak Ou. Spend a day with a hill tribe and learn local trades like the ancient distillation process of Laotian whiskey.